Premium funding is a short term loan that allows you to pay your insurance premiums and associated charges by monthly direct debit over an agreed period (usually between 6-12 months). At JVIB, we understand that every client has different needs and it isn’t just about the insurance products. It includes payment options too, so to accommodate clients who want to break their premiums into smaller more manageable payments, for whatever reason, we can provide premium funding. To smooth business cash flow by paying your insurance premiums in instalments. 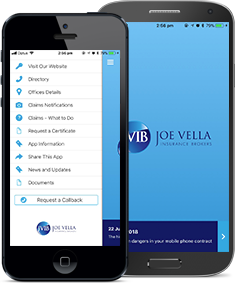 The application paperwork is prepared by JVIB to include all of your required policies. You can make additions to existing premium funding loans if required. Funding your premiums can assist in retaining working capital within your business. Monthly payment can be done via direct debit from your nominated bank account or credit card. If you wish to obtain a premium funding quote, please contact your broker and they can arrange one for you.